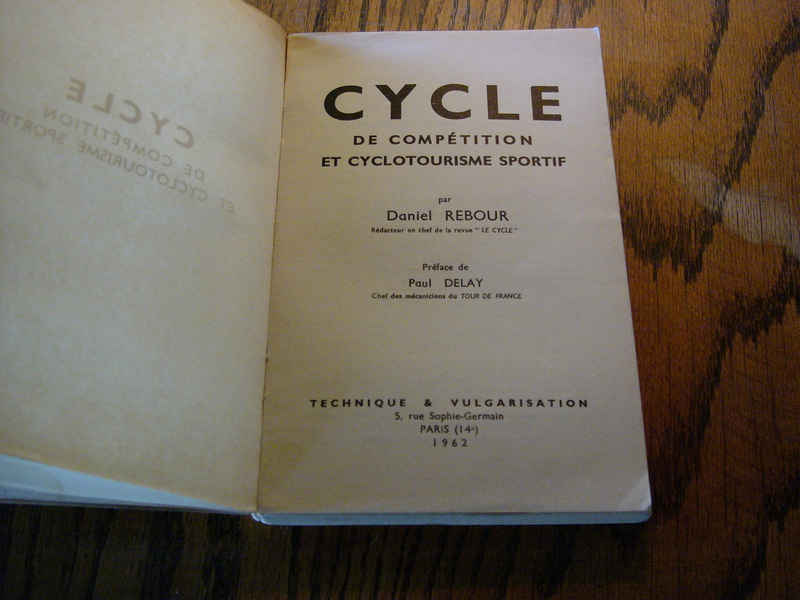 I purchased this 1962 Daniel Rebour Cycle booklet from Jan Heine about 5 years ago. Back then I carried it with me whenever I took public transportation to work (TriMet) so I could peruse its French language pages and stare longingly upon its Daniel Rebour drawings at my leisure. While I have never taken a French language class, I studied Spanish extensively in my youth and was at one time fluent in that language. That made it easier to have a rudimentary comprehension of what I was engrossed in while bumping along toward downtown Portland on the bus. Eventually I realized that I didn’t want the pages of this rare vintage publication to become dog-eared, so I set the booklet aside in my special bin for special stuff not to be messed with. Unusual through the frame cable routing for rear centerpull Mafac brakes. 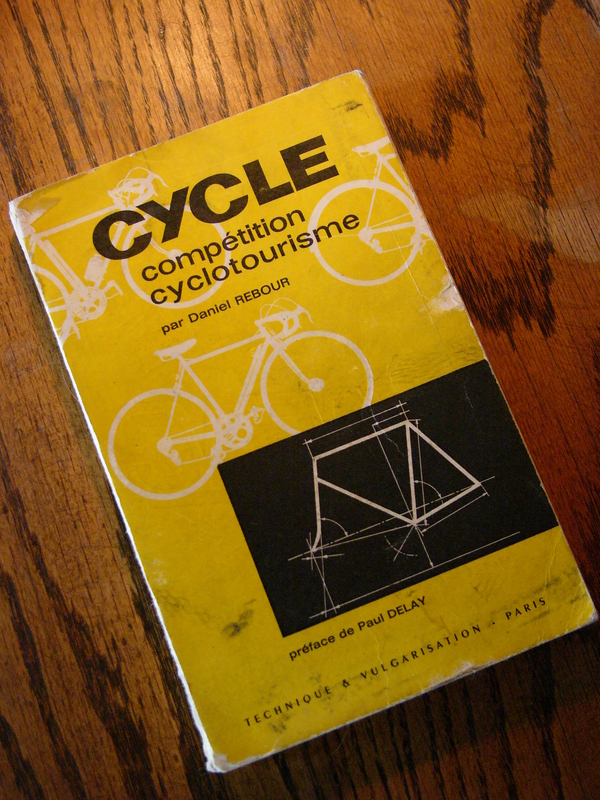 I have consulted this little tome a few times since then when I needed some background information on components and bicycles produced in the early 1960’s. Recently, I dug it out because I had remembered an odd through the frame cable routing for a rear centerpull (Mafac) brake. 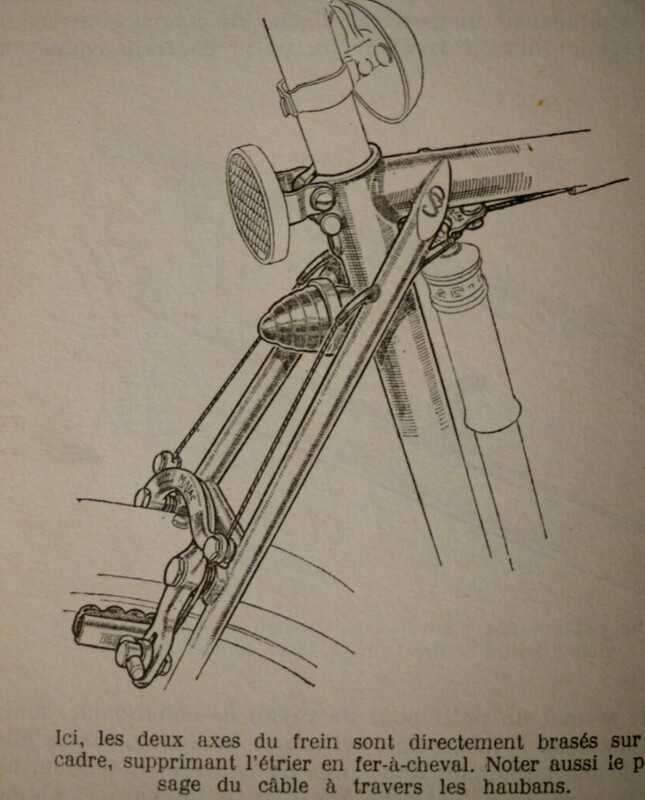 And even more recently, I wondered if this little booklet contained any information about French Cyclo rear derailleurs. I figured probably not, as these derailleurs were becoming obsolete by the late 50’s. And, I was right about that. 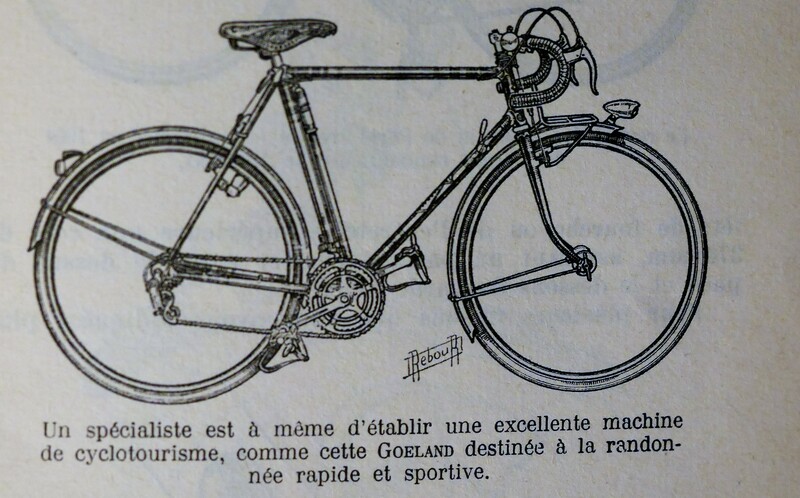 But, I once again was drawn into this publication, which is organized by bicycle component categories: Frames and tubing (Le Cadre); Bottom Brackets (Les Roulements); Cranksets (Le Pédalier); Chainrings (Les Plateaux); Pedals and Toe Clips (Pédales et Cale-Pieds); Wheelsets (Les Roues); Tubular Tires (Les Boyaux); Derailleurs (Les Derailleurs); Brakes (Les Friens); and the remaining chapters on saddles, handlebars, and accessories. 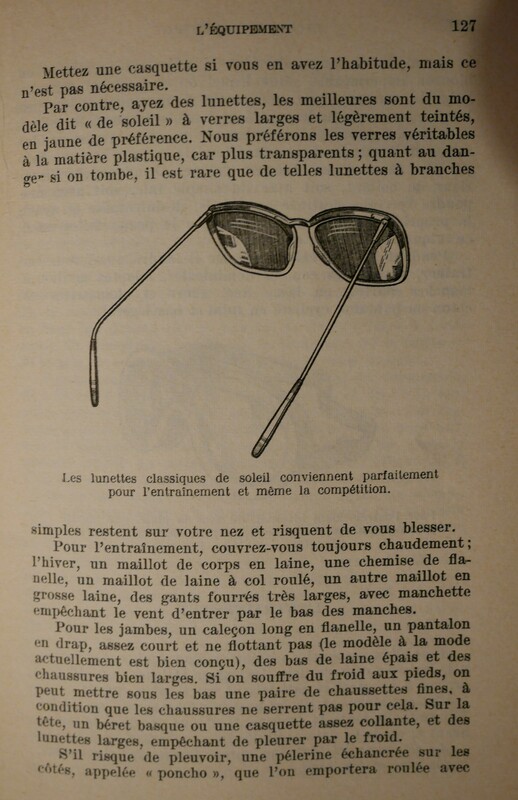 Sunglasses in your kit – 1962! Mudflap with 3 point attachment. Classic Rene Herse 3 arm crankset. Daniel Rebour’s treasured drawings are featured in a number of print publications. One of these is Frank Berto’s The Dancing Chain. 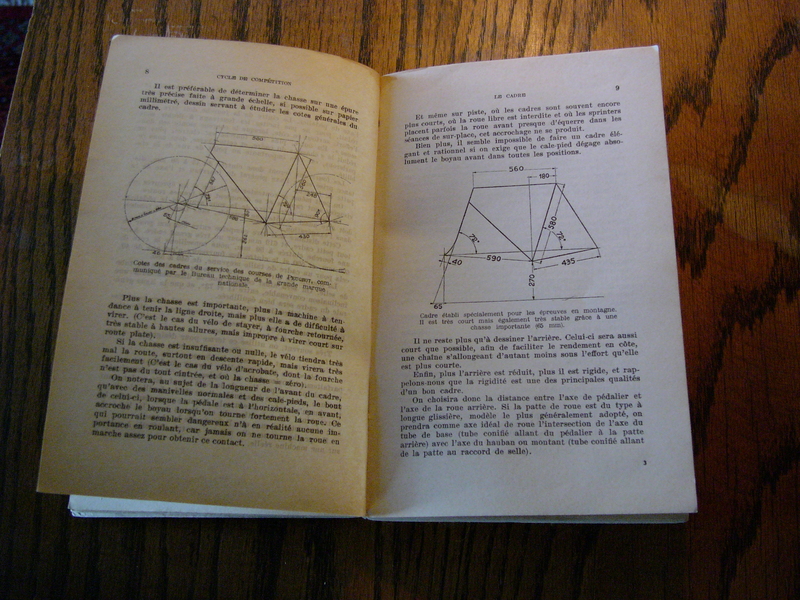 I frequently consult Berto’s book for insight and guidance on setting up vintage derailleurs. 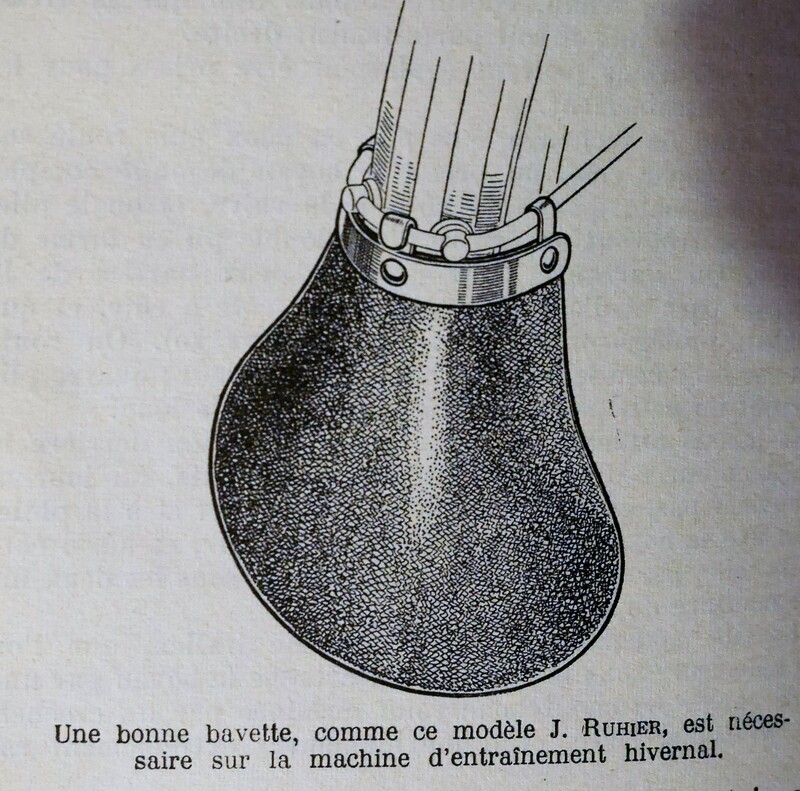 Daniel Rebour contributed significantly to our understanding of vintage bicycle components. He left a legacy that all cyclists benefit from, especially those of us committed to preserving the legacy of vintage bicycles, and we are all the better for it. I am grateful for his contribution. 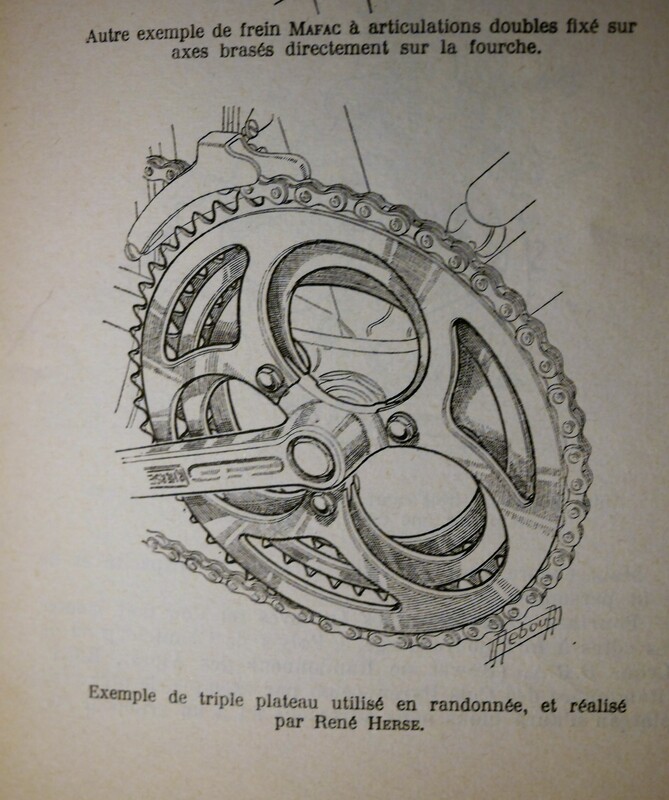 This entry was posted in Bicycle history, Bicycle restoration, French bicycle, Goeland, Vintage bicycle restoration, Vintage French Bicycle and tagged Cyclo Derailleur, Daniel Rebour, Frank Berto, mafac, The Dancing Chain, vintage french bicycle, vintage rear derailleur by Nola Wilken. Bookmark the permalink. Those drawings are amazing. What a great reference.